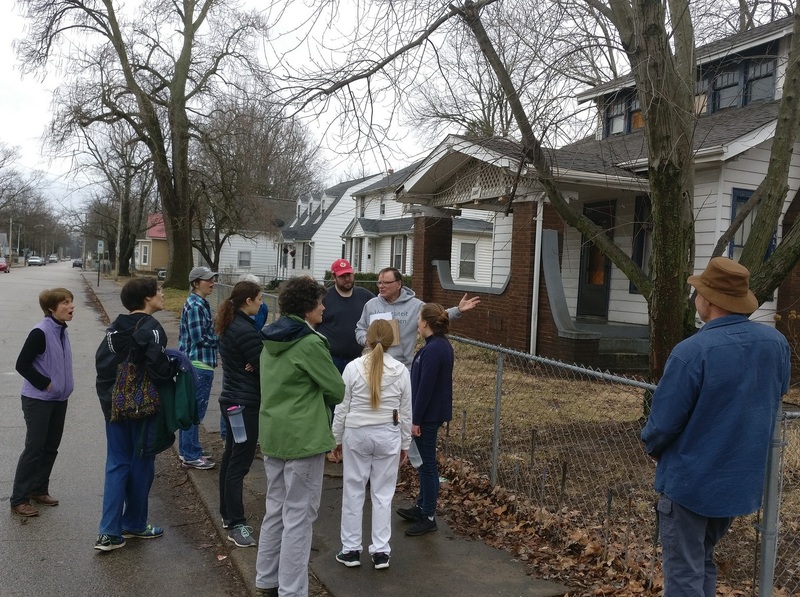 Joe, a veteran of previous service trips, gives a tour of the neighborhood to this year’s service team volunteers in Evansville. Last spring, Joe Maguire stunned many in the northern Virginia branch when he announced that he would be fully retiring, stepping down from his position as an area coordinator and leaving his branch of nearly 34 years. He would move hundreds of miles away from his children and grandchildren to Evansville to join the Missionary Company. In November, 2016, Mission program coordinator Nick Holovaty gave the men’s retreat in northern Virginia, and Joe spoke to him about the possibility of joining the Missionary Company. The two of them agreed to pray about it. Principal Branch Coordinator Bob Magill was Joe’s head at the time. “I was watching this desire build in him to do mission work,” Bob says. At 70, Joe was still physically capable, but he could see signs that he might not be for much longer. He thought that if he waited till the end of his term as coordinator it might be too late. Bob recalls that Joe told him, “I’ll really do whatever the Lord wants me to do, but the desire that I have that keeps growing is to be a missionary.” Bob spoke to Craig Lent, the overall coordinator, who agreed that Bob should take Joe through a discernment process, and he eventually approved Joe’s resignation as area coordinator. In June, 2017, Joe retired, handed off his duties as area coordinator and moved to Evansville. He made a one-year commitment to the Missionary Company. In Evansville, he spends much of his time doing construction work for the properties on the missionaries’ target block, where he has led renovations on three different homes. 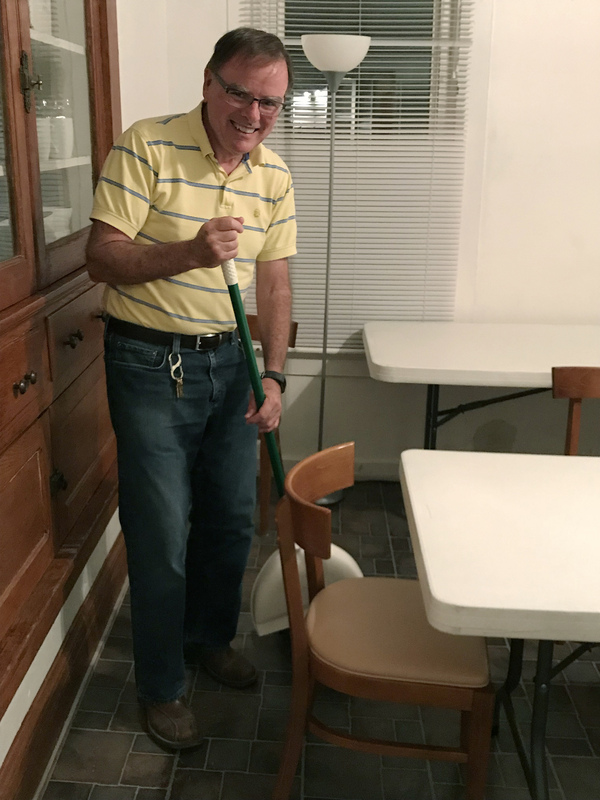 Joe Maguire cleans up at 1201 S. Linwood—the very first house owned by the People in Praise in Evansville. On days when he’s not doing construction work, Joe spends his mornings praying and going through a missionary formation course with the other missionaries, and in the afternoons he’s knocking on doors. Joe is a great man of God. We miss him here, but are grateful for his service and love for the body.